There are two small words on the calendar today: Iraq War. This marks the 12th anniversary of the Iraq War—since “shock and awe” changed this part of the world, marking the beginning of the end of Saddam Hussein. It’s 12 years later, and I still hear Saddam’s name often. This week it was at the bank, while waiting in line beside a gentleman who told me about losing his young son when the 2-year old was “shot by Saddam’s men.” He went on to tell me about the daughter that survived, his beloved grandchildren, and the career which still gives him pride years after retiring. It’s 12 years later, and we’re in the midst of a different war. ISIS are forging their own kind of cruel nation, using many of the same tactics employed by previous terror-mongers. And yet, in so many of the people we meet and serve, there is resilience. There is a willingness to do the hard work of starting over. There is a deep hunger for slices of “normal” and for joy. I see it in my displaced friends, just as I saw it in the man I met at the bank. “In the Middle East, Iraq is one of the youngest populations of any state. And so you have a lot of kids, a lot of young 20-somethings, and they’re looking for fun. I’ve seen this all over the world. You go to places where people are besieged, but yet, when they can, they express their sense of humor. 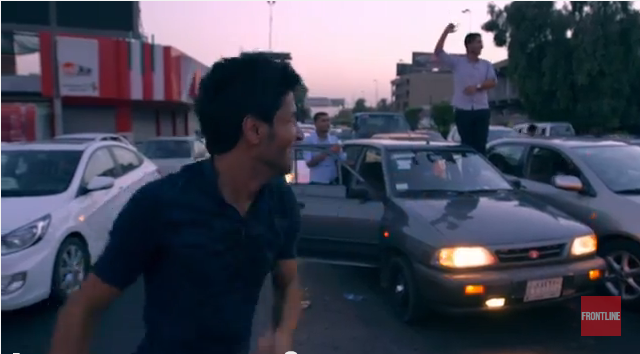 The video above gives a wonderful look at daily life found in the streets and ice cream stands in Baghdad. The Iraq War still casts a long shadow. No doubt this war with ISIS will too. But in the midst of it all, there is resilience.